The most common questions about the Ag Data Coalition (ADC) are about the purpose of our organization, and how it’s different from any of the other ag data efforts in the industry. Much like a farmer intensely focused on their crops can sometimes lose track of current events, those of us heavily involved in the ADC effort, who work in precision ag daily, can forget that what we do and why we do it isn’t widely known. A recent editorial on Crop Life is a good reminder precision ag is a confusing and rapidly changing field. 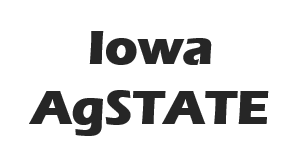 The article represents a prime example of why the Ag Data Coalition was formed just over a year ago as a joint effort of original equipment manufacturers (OEM), technology companies, land-grant universities, and farmer organizations. The objective of ADC is to help growers get a better handle on their data, enabling them to start using more of these new digital tools in a practical and collaborative way on their farm or agribusiness; enabling data sharing with their preferred business partners. Our strategy was to establish a data repository independent from any one single OEM, ag company or software system. Our goal was not to disrupt or compete with any existing data management services; just to provide farmers, ag service providers, ag technology providers, and university researchers a secure, neutral option that could offer unique and valuable benefits only because of its independent framework. Today, many growers and ag service providers are utilizing multiple systems to enable data transfer, translation, analysis, and sharing – and the ultimate path of the data, and the user agreements involved, can be overwhelming. It’s for this reason that the ADC has developed a neutral, independent, farmer-centric data repository where farmers can securely store and control the information collected every day in the fields by their tractors, harvesters, aerial imaging and other devices. Over time, that data can then be scrubbed, synced and transmitted in an efficient and uniform way to third parties — whether they be researchers, crop insurance agents, government officials, farm managers, input providers or anyone else the farmer chooses. The ADC data repository provides farmers as well as ag service providers a single common location that enables them to maintain a backup of the historical raw files that they can then load into whatever system they choose. It also lets them store the output from those systems in a common repository and easily transfer any recommendations or prescriptions to their customers or advisors. There is no need for a service provider to manage an FTP server or track files down on different employees’ computers or hard drives. Additionally, if an employee leaves to work for a competitor, the customer still retains their ADC account and all that data won’t leave with the employee. Getting data in one spot that a farmer can control is something fundamental to the success of the entire industry.